Hola, I hope you all are keeping well! It’s been a long time since I blogged! This is why, I thought of blogging about my travel experience at Abu Dhabi, United Emirates of Arab. Abu Dhabi is the capital and the second most populous city of the United Arab Emirates and also capital of the Emirate of Abu Dhabi, the largest of the UAE’s seven emirates. Abu Dhabi lies on a T-shaped island jutting into the Persian Gulf from the central western coast. The city of Abu Dhabi has an estimated population of almost 10 million in 2018. The United Arab Emirates sometimes simply called the Emirates, is a federal absolute monarchy sovereign state in Western Asia at the southeast end of the Arabian Peninsula on the Persian Gulf, bordering Oman to the east and Saudi Arabia to the south, as well as sharing maritime borders with Qatar to the west and Iran to the north. In 2013, the UAE’s population was 9.2 million, of which 1.4 million are Emirati citizens and 7.8 million are expatriates. The country is a federation of seven emirates, and was established on 2 December 1971. The constituent emirates are Abu Dhabi (which serves as the capital), Ajman, Dubai, Fujairah, Ras al-Khaimah, Sharjah and Umm al-Quwain. Each emirate is governed by an absolute monarch; together, they jointly form the Federal Supreme Council. One of the monarchs (traditionally always the Emir of Abu Dhabi) is selected as the President of the United Arab Emirates. Islam is the official religion of the UAE. 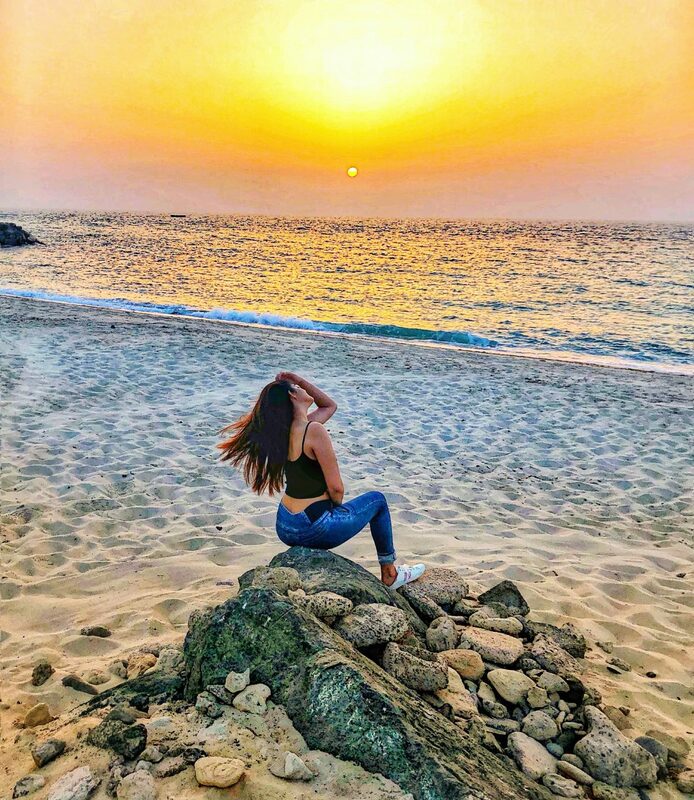 Dubai is almost 2 hours drive from Abu Dhabi and it is worth noting that visa of United Arab Emirates very easy to get and the plus point is that is not even expensive unlike other countries visa and with one visa of UAE, you have freedom to travel to anywhere within UAE. The currency used over there is Dhirams (AED). And the current rate of 1 dhiram is Rs. 18 INR. I always wanted to go to Abu Dhabi! It is beyond beautiful and clean city that I have ever been to! People over there are so welcoming and warm! UAE is indeed a very disciplined and lawful state with strict rules and regulations that everyone ought to abide by which makes it safe for everyone and thereby helps in getting justice right after any crime is committed! 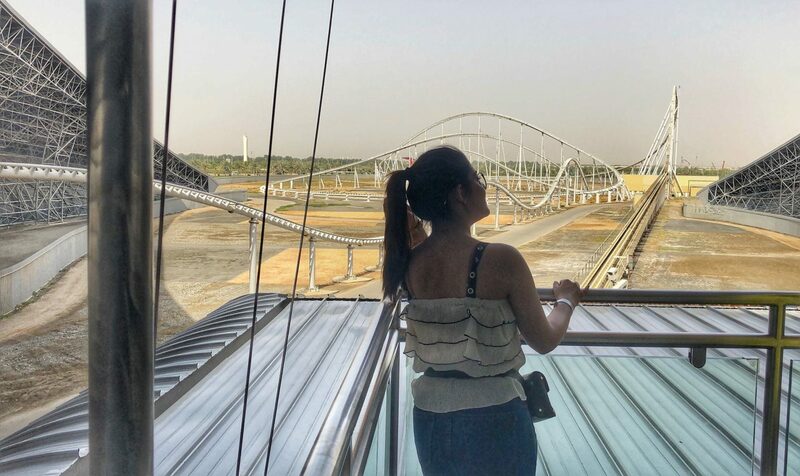 My best experience was to get on World’s fastest roller coaster which is only in Ferrari World, Abu Dhabi. Visiting Sheikh Zayed Grand Mosque was indeed the best and perhaps a peaceful experience of my life #InAbuDhabi! It is world’s second largest mosque and first largest in United Arab of Emirates. Interesting fact about the Sheikh Zayed Grand Mosque has seven imported chandeliers from the company Faustig in Munich, Germany that incorporate millions of Swarovski crystals! Also, it is named as Sheikh Zayed Grand Mosque because it’s first ceremony was the funeral of Sheikh Zayed. Everyone should definitely visit over there once in a lifetime to see how beautifully it is constructed and how the reflective pools surround the mosque, amplifying its beauty. It is worth noting that it is mandatory for all the ladies and girls to wear hijab once we enter the mosque which is available at the mosque itself. 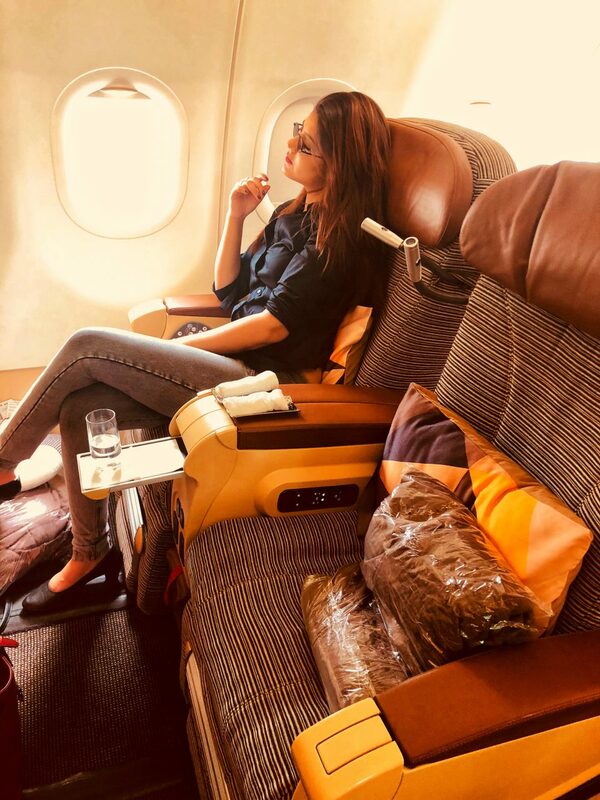 I travelled business class with Etihad Airways, and it was by far my life’s best decision to choose Etihad Airways! The hospitality that they provided was just beyond expected! A big thumbs up to the whole team of Etihad Airways for giving me and my family a very safe travel. When it comes to food, trust me you cannot beat Abu Dhabi! Being a vegetarian, I always end up facing problems in foreign countries but Abu Dhabi has got the best vegetarian and non-vegetarian cuisine! And I can bet on that! At Emirates palace, I also happened to taste Abalone fruit, Abalone not only tastes great, but also an excellent source of many vital nutrients. In Asian cultures, abalone has long been appreciated for its health benefits, including healthy eyes and skin. The most expensive fruit for it is rarely available! And it tastes like cheese! Had it been available in abundance, it would have surely been my favourite fruit salad !!! I went to Shangrila in order to have buffet when I stumbled upon this amazing HOI restaurant which served me with Vietnamese cuisine which was absolutely mouth watering to have! In order to have a proper Indian cuisine, I went to Sanjeev Kapoor’s kitchen and trust me they served me the best Indian food that I have ever tried! 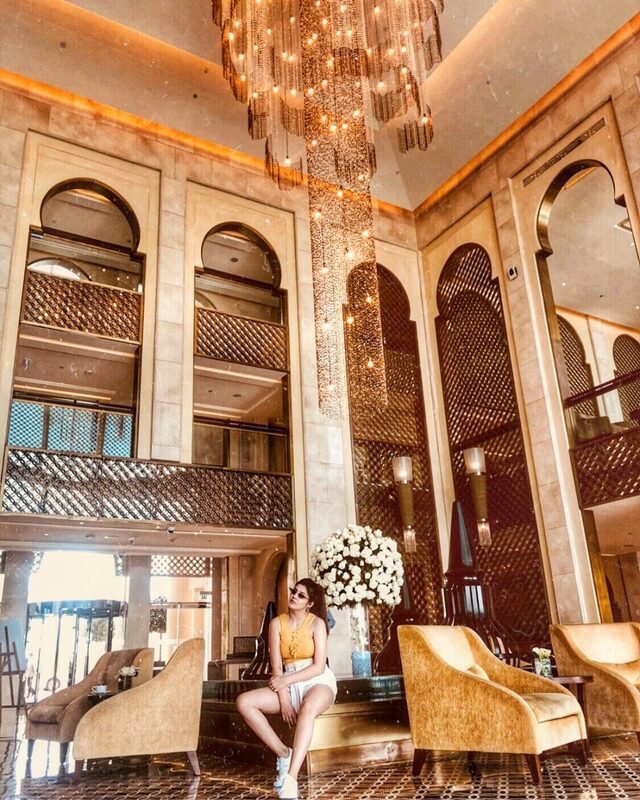 First day of my trip, I went to Cipriani in Abu Dhabi which is near Ferrari world where I experienced a candle light dinner with my family and their food was super yummy! The whole team of Cipriani was welcoming and very well organised! A big thumbs up to Cipriani. So far the best experience of my life was in Zaya Nurai Island where I enjoyed my heart out while doing jet skiing for hours and I also happened to experience kayaking over there! About Zaya Nurai: Stemming from the Arabic word ‘Nur’ meaning light, Nurai is an island of staggering beauty, of turquoise seas and white sands. It’s a place filled with natural harmony appealing to all five senses. 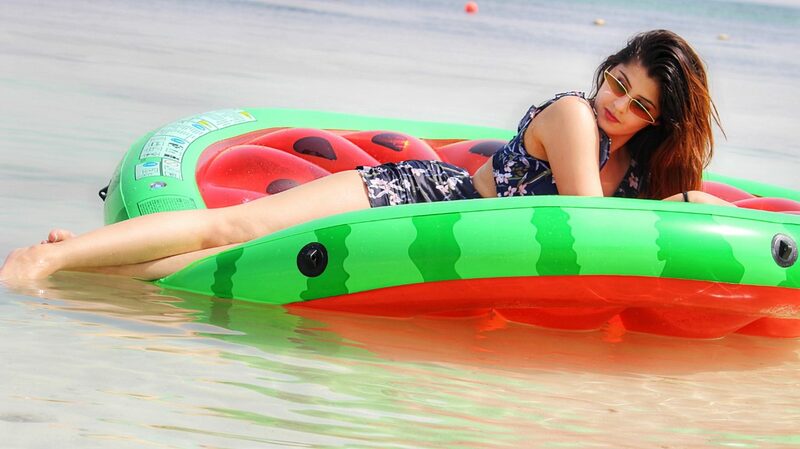 It is a private island surrounded by natural beauty is perfect for quality family time. Enjoy your next vacation at one of the leading 5 star hotels in Abu Dhabi. I was staying at Anantara Eastern mangroves hotel which is a 5 star property! It was indeed a beautiful experience! People over there were very nice and helped us in and out! Their hotel service was just brilliant! The food that they served was beyond delicious and provided me and my family with a warm hospitality! I’m literally dying to head back to that hotel and stay again and of course gobble all the yummy food from buffet which was served every morning. 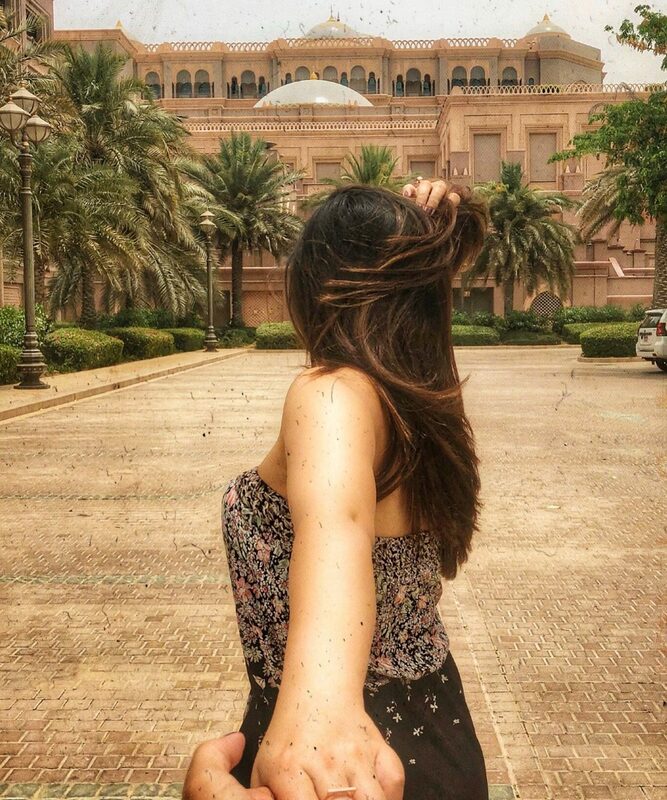 If you’re in Abu Dhabi, you just cannot miss to visit Emirates Palace! It is beautiful palace that I have ever been to! I went there for dinner and spa! Dinner served at Hakkasan hotel which is inside Emirates Palace was amazing! Over there, I happened to try Abalone fruit which I mentioned about in the food section above. Then on my second last day, I went their to experience SPA! The Emirates Palace spa is world’s best spa and it was out of the world! in one hour session, my body felt so light and stress free. They maintained hygiene at a great level. I’m definitely gonna experience it again. Also, it was not that expensive to experience. 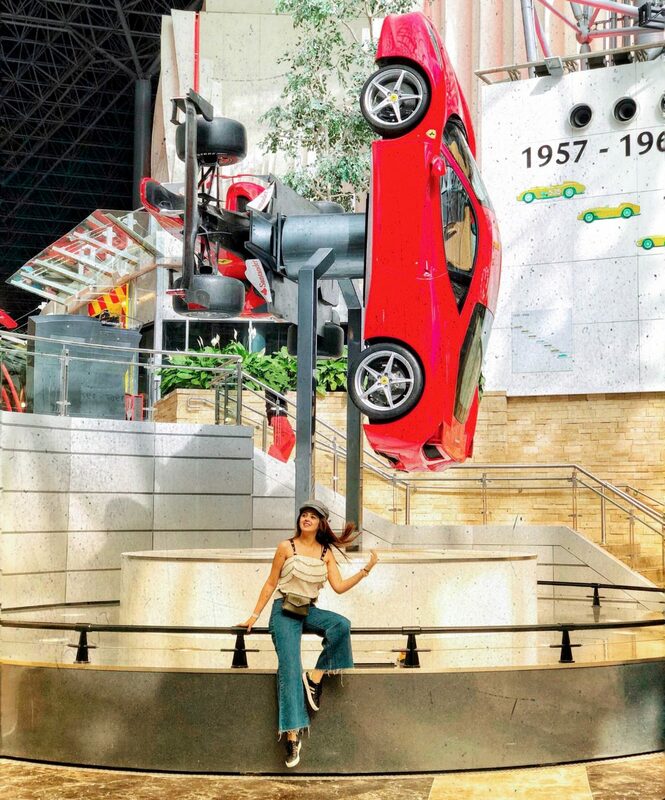 On my first day of the trip, I happened to visit The Galleria mall which has got all the luxurious brands! Name it and they have it! I could easily buy all the luxe stuff that I wanted to buy since so long that too at a very decent price. Abu Dhabi is very cheap when it comes to shopping! You should definitely carry one extra bag for shopping stuff to Abu Dhabi! My favourite shopping mall happened to be YAS MALL, where I could shop stuff from brands like forever 21, typo etc. Also, this is insane that while I was at the airport of Abu Dhabi, I went to a random electronic shop where I saw Apple Watch, the cost of it in India is 35K. However, I happened to buy it just for Rs. 25k that too three series! So yes, Abu Dhabi is the best when it comes to shopping! Thus, my overall experience was just beautiful. I got to experience a lot of things in Abu Dhabi! It is a beautiful destination that you should definitely pay a visit with your family! People of Abu Dhabi are very nice and welcoming! In every hotel they greet you with a hot welcome drink with dates which freshens your body! I hope you like my blog! For more pictures of Abu Dhabi, head to my Instagram. Also, you can follow @visitabudhabi on Instagram for more information. Going to Plan Abu-dhabi by reading your wonderful and amazing content about it. Great Place And Great work Done By Saloni. Amazing pictures!! You look stunning.i had a doubt ,just wanted to know, Is it United Arab of Emirates or United Emirates of Arab or it’s the same thing ?